Hiring staff can be a resource-draining process for any business, but it can be especially difficult for small businesses with limited means. For a small business, each new staff member can impact the company much more than a new staff member at a larger company with 200 or more employees can. But the costs associated with hiring can be just as high as the stakes, so it’s important for small business owners to have the right hiring approach to avoid having to repeat the process several times. If you are looking to avoid the interruptions that arise when a hire does not go as planned, consider the following pointers. Being as clear as possible about the role is the first step to ensuring that people who apply are genuinely ready to take on the position’s duties. Be sure to include the daily tasks and explain how the position is a part of the company’s goals. Include other important information, such as salary, benefits and required skills. In addition to providing these details, be honest with them about any challenges you think will affect them in this position. Address expectations and possible hurdles to achieving goals; the good workers will be willing to challenge themselves. Being as transparent as possible about the position helps ensure you don’t end up hiring people who won’t last. Determine where the best applicants for your business would be, in a physical and virtual sense. Research different job posting sites for employers to see if there are any job boards with candidates who are specific to the position you’re offering. You may be able to find potential candidates by reaching out to people you know in your field. Calling or emailing any business colleagues and creating a post on LinkedIn is a great way to let people in your profession know you are hiring and would be happy to receive their recommendations. Since each employee has a large influence on a small business’s culture, one individual’s productivity, creative spark, pessimistic nature or detachment can have an impact on the company. Remember, you can learn skills, but not personality, outlook or dedication. Make time to think about the values most important to you and your business and look for these qualities in the people you hire. Mention the company’s values throughout the interview process and ask questions specifically related to those values. You can also recognize important aspects of a candidate’s personality by taking steps to reduce interview anxiety. Ask silly and seemingly irrelevant questions like, “What super power would you want to have most?” Even though there is no way to judge whether a response is right or wrong, a candidate’s answer can help you determine what kind of person you’re interviewing and if they would align with your culture. 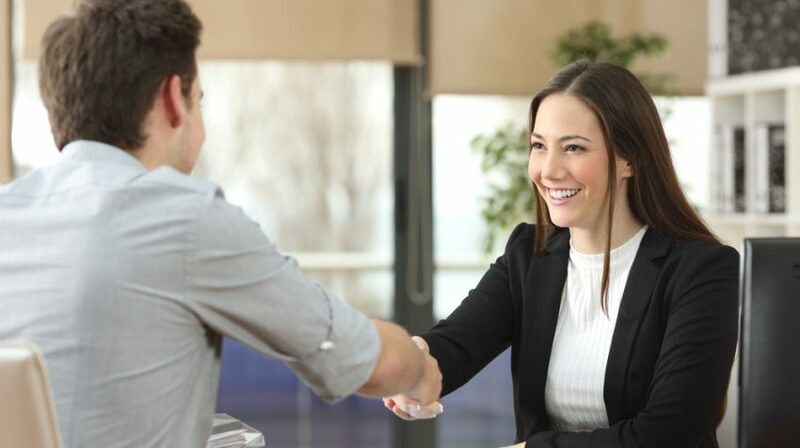 Skills and experience are essential, but you should also consider whether the person is truly committed to working for you before making an offer. You can catch a glimpse of a candidate’s dedication by determining their enthusiasm throughout the interview. Pay close attention to whether they express their dedication to the field by descriptions of previous work experience and take note of those who conducted basic research about your company prior to the interview. These considerations can help you judge whether a person will be dedicated to the position you’re offering or if they are willing to settle for any job. Chances are your current team is not only excellent, but they’re probably the only people who know your company as well as you do, so use your existing workers to find new employees. Incentivize their support by beginning a referral program, so existing staff members can earn rewards for making the hiring process easier. Offer gift cards, cash bonuses, or other perks in exchange for their assistance. Even if they aren’t making referrals, your employees are likely the ones who will be working with the new hires, so involving them in the process is a great way to improve employee engagement and ensure your new hires mesh well with your current staff. It may be worthwhile to test a new hire prior to making a full commitment. Consider having new employees sign a short-term contract or hiring them as freelancers to determine whether they are the right fit for the company before assuming any long-term obligations. A trial period can be a great way to give both new employees and employers the breathing room to make thoughtful decisions before making a final commitment.